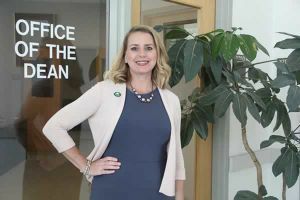 When Dusti Sluder first entered Pensacola State College in the fall of 1993, the 18-year-old freshman with a compassionate heart wanted to become a nurse. “I met with a counselor because I was interested in the nursing program. I don’t know why I chose that path but I was the first in my family to seek a career in the healthcare field,” she said. 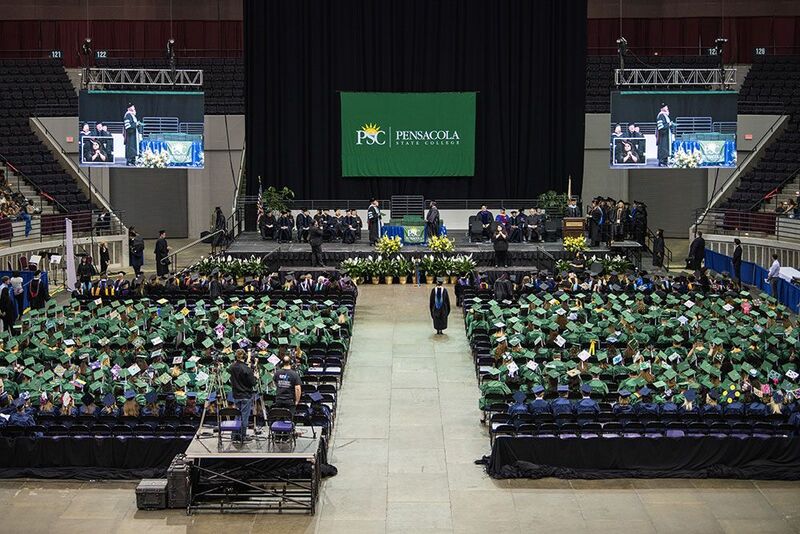 Back then, the Booker T. Washington High School graduate had no idea that she would eventually find “her home” at Pensacola State. Today, Sluder is the dean of the Warrington campus – after working as an adjunct faculty and full-time faculty member and serving in various administrative positions on the campus. Along the way, she faced some roadblocks but Sluder said those experiences provided invaluable insight into the nursing field. Becoming a nurse almost was not a reality for her. After earning her LPN degree and working at West Florida Hospital, she was diagnosed with Guillain–Barré syndrome, a rapid-onset muscle weakness caused by the immune system damaging the peripheral nervous system. “I was completely paralyzed for six months, I was hospitalized and afterward went to rehab. But the experience gave me a real sense of what it was like being on the other side as a patient,” Sluder remembered. After extensive physical therapy where she relearned how to walk, speak and even write, Sluder said her neurologist recommended she not re-enroll in Pensacola State’s nursing program. “I could have a relapse especially in a high-stress field like nursing but I was already hooked and my physician reluctantly signed off so I could return to classes,” she said. After graduating from Pensacola State, Sluder worked as a registered nurse at Sacred Heart Hospital and Santa Rosa Medical Center for several years before coming back to Pensacola State as an adjunct professor from 2006-2008. “It was at this time, I realized I had found my home,” said Sluder, who later became a full faculty member from 2008-2011. Since that time, Sluder has worked as interim director of nursing, director of nursing and assistant dean of the Warrington campus. She was named dean on Sept. 1. Pensacola State President Edward Meadows describes Sluder as one of the college’s brightest stars. “Pensacola State is extremely lucky that Dusti chose to start her collegiate career here,” Meadows said. “She has always been committed to the college – even as a young student. Most of us may have chosen a less rigorous career had we gone through what Dusti has. Meadows said Sluder excelled at every task she was assigned. “She was an outstanding Pensacola State student. As a faculty member, she was respected by her colleagues and loved by her students. As an administrator, she fulfilled her duties and responsibilities but also made time for our students. In her new position, I have no doubt that she will continue to go over and beyond for the college,” he said. Sluder earned her LPN and ADN degree from Pensacola State. She continued her education at the University of South Alabama where she received her Bachelor of Science in Nursing, going on to earn her Master of Science in Nursing from Walden University. She earned her Doctorate of Nursing Practice degree from Duquesne University in August 2014. Active in the community, Sluder is a member of the Health Services Advisory Council which serves Escambia and Santa Rosa counties, the Florida Council of Nurse Educators and Administrators, and is a 2012 graduate of Pensacola State College’s President Leadership Institute.